Zealous as in “spends a lot of time or energy in supporting something that they believe in very strongly” from Collins, 2017. Being a zealot is not always a bad thing. I believe that the core of a zealous person is passion, and I believe that being passionate is what forces change (good or bad). 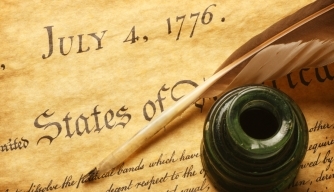 On July 4, 1776, the Declaration of Independence was agreed upon in order to Unite the original 13 colonies of America. If those involved had not been zealous enough to pursue the acceptance of this document, the United States of America might not have ever existed. I believe that I am a zealous person. Do you believe yourself to be Zealous?